"From physicians to case managers and health coaches, the new delivery network will offer more coordinated care and focus on the health and well-being of our members." VISALIA, Calif.--(BUSINESS WIRE)--Improved health and more coordinated care for Humana’s Medicare Advantage (MA) members in Tulare County is the goal behind a new fully-accountable, value-based partnership among Key Medical Group, Kaweah Delta Health Care District and Humana Inc. (NYSE: HUM). Humana, Key Medical Group and Kaweah Delta have joined efforts in the creation of an integrated delivery system that will result in more coordinated care with an increased emphasis on preventive services for Humana Medicare Advantage members. As part of the multi-year partnership, Humana will be Key Medical Group’s exclusive Medicare Advantage HMO partner in Tulare County. Humana offers Medicare HMO plans, a prescription drug plan, and Medicare supplemental policies in the county. Through Key Medical Group physicians, Humana’s Medicare Advantage members will have in-network access to Kaweah Delta facilities, including Kaweah Delta Medical Center and its supportive specialty facilities. Kaweah Delta Health Care District provides high-quality, customer-oriented and financially strong healthcare services that meet the diverse needs of those they serve. 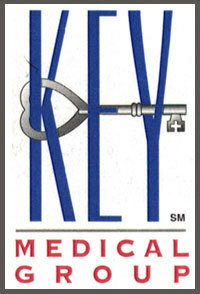 Key Medical Group is an Independent Physician Association (IPA) established in 1993 with the goals and objectives to provide quality care to members and to have fair, efficient, and quality medical management services for assigned members and participating providers. The IPA currently holds contracts with 128 primary care physicians and about 300 specialists in the Tulare and Kings counties. The Humana/Key Medical Group/Kaweah Delta partnership emphasizes quality outcomes with a focus on care coordination and leverages measures as defined by the National Committee for Quality Assurance (NCQA) Healthcare Effectiveness Data and Information Set (HEDIS) like diabetes care and treatment, breast cancer screenings, colorectal cancer screenings and high-risk medication. 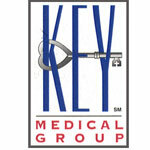 Key Medical Group is an Independent Physician Association (IPA) established in 1993 with the goals and objectives to provide quality care to members and to have fair, efficient, and quality medical management services for assigned members and participating providers. The IPA currently holds contracts with 128 primary care physicians and about 300 specialists in the Tulare and Kings County area. The IPA manages medical care for approximately 22,000 members in the two counties.